Is pink your favorite color this month? Everyone, everywhere is wearing pink. The trademark color of breast cancer awareness is as synonymous with October as falling leaves and Halloween. Yet, for all the pink ribbons, hats, and headbands, you need to tie on one more color to support the women in your life—blue. It’s a common misconception that women are not affected by colorectal cancer. However, colorectal cancer is the third leading cause of cancer death, just steps behind lung and breast cancer, respectively. Colorectal cancer affects men as well as women. And, a recent study found that colorectal cancer rates are up 62 percent among females under the age of 49. If you are wearing pink for breast cancer, be certain to add a little blue to your flare too—colorectal cancer is killing women too and it is highly preventable. Though fewer men than women see their doctor on a routine basis, more women struggle with chatting up the topic of colon cancer. After all, how many women want to talk about bowel function out loud? It’s time to make talking about colon cancer, the symptoms, and risk factors a whole lot less taboo. All women are at average risk of colon cancer at the age of 50. New research is finding that age 45 is a more ideal minimum screening age because rates of colorectal cancer are rising—up 50 percent among people under 55. Women who have a condition known as Lynch syndrome, a cancer that is the result of an inherited genetic mutation, are at an even greater risk of colorectal cancer before the age of 50. What are the Symptoms and Risk Factors for Colon Cancer? The risk factors for colon cancer vary for women who have relatives who have been diagnosed with advanced polyps or colon cancer, in these cases–you’re at increased risk of the disease. For women aged 45 or older, getting screened is the key to prevention. The most common symptom for older Americans is no symptom at all, which means you need to get screened by age 50. If you are having any of these symptoms, don’t “die of embarrassment”—talk to your doctor. It’s certainly not a taboo topic when it could save your life. Breast cancer awareness campaigns have significantly improved the number of women who get their routine mammogram, but few women make certain they get their colorectal cancer screenings scheduled and completed by the age of 50. To combat growing rates of colorectal cancer among people under 55 years of age—including and especially women—the American Cancer Society recently lowered the recommended age for a first-time colon cancer screening to 45 years old. If you are aged 45 or older, it’s time to get screened. If you are under the age of 45, but experiencing symptoms—talk to your doctor. Remember colorectal cancer is the third leading cause of cancer death and it’s not a disease that exclusively affects men or “old people.” You need to get screened. 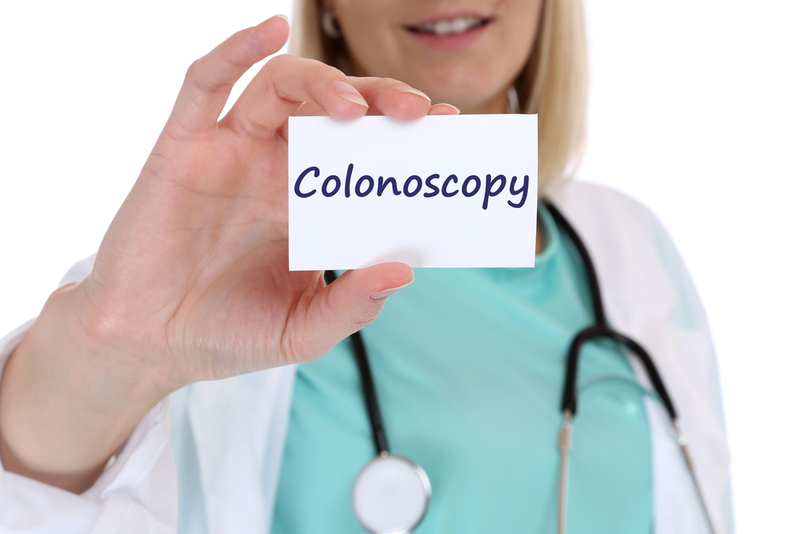 If you are experiencing symptoms or need to schedule your colonoscopy screening, contact the expert gastroenterology team at Tulsa Endoscopy Center at 918-481-4700 or fill out an appointment request form and some will contact you soon. At Tulsa Endoscopy Center, every GI physician is fellowship-trained in gastroenterology, the medical staff is highly specialized in endoscopic procedures, and you will receive the highest quality of care in a comfortable, private setting for a fraction of what hospitals charge for the same outpatient procedure. Get scheduled to get screened today—save your life!